I have finished university for summer *yay* so i came home for a bit to just relax and unwind and do nothing except sew! I have soo many projects that i want to make, but i knew i couldn't get them all done so i focused on just a few! 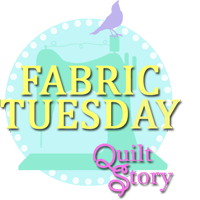 one fabric line i have been crushing on is fleet and flourish by maureen cracknell, i have wanted to sew with it for ages, but there was uni deadlines and the fact that i didnt know what i wanted to make, so it has sat on my shelf patiently waiting to be cut in to! Then my friend mentioned making a bag and *ping* yes1 i would use it to make a bag, we settled on the caravan tote by noodlehead and i got to work! the pattern called for a solid piece of fabric, but me being me had to do something different! i did 3 inch patchwork squares and then cut it to size, and the fabrics go perfectly with essex linen in grey, which i used for the contrasting band at the top! i quilted the outside and used heavy weight interfacing to make it sturdy enough to stand on its own. i think its the extra little bits that make handmade items special! i added a little bit of extra fabric to the handles to lengthen them and also because i can and its cute :) i also added some ribbon for a little tag, to add to the handmade look! do you like the handmade look, or do you prefer items not looking handmade?